Trying to be healthy at this time of year just doesn’t work. But it’s a time when we all need to try a little bit harder. Illness is a plenty and most people I know have been hit with the dreaded lurgey over the last couple of months, myself included. I explained how awful I was feeling to a friend over breakfast a couple of weeks ago and she gave me some great advice. 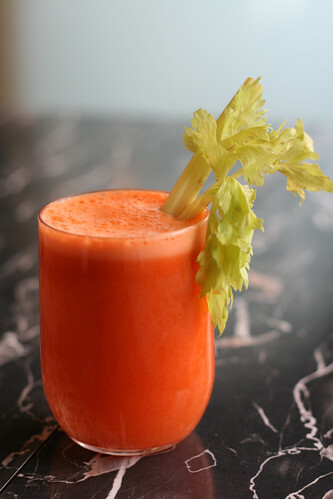 Make a fresh juice for breakfast. Not only do they cut down on the calories but they are packed with vitamins needed to keep those winter blues at bay. So the first thing I did was dust off the juicer, buy two huge shopping bags full of veg and set to work. It is best to drink the juice as soon as you have made it, otherwise you run the risk of losing the essential vitamins. But if you haven’t got time to juice in the morning, do it at night before you go to bed, place in an air tight bottle and drink in the morning. No need to peel or prepare anything, simply juice and enjoy! Did you juice it or can yo just blend? ?